No Comments on A home away from home. There are guest houses and guest houses – a profusion of them since South Africans cottoned on to the concept and embraced the hospitality industry with great gusto. And a very profitable industry it is too when word got out that our beautiful country is a tourist paradise! But not everyone with enough money to install a reception desk, buy a reservations book and hang an accommodation sign outside, are meant to be let loose on the poor, unsuspecting paying public. It is, unfortunately, only the most dedicated and compelling individuals that can lay claim to have created ‘a home away from home’. Homeliness, after all, is not just the mechanical act of ensuring that basic needs are met, but requires warmth, compassion and a true regard for people. It also helps if you have an actor’s soul; smiling when you want to wring a negligent cleaner’s neck, pretending all is well when the kitchen is busy burning down and creating atmosphere with decor and candles and welcoming aromas. After all – the show must go on! Not that travellers need to be overwhelmed by theatrics. Business people often prefer the anonymity of a large hotel over the personal touch at a guest house. And it is the exactly the ‘personal touch’ that persuade guests to return to an establishment over and over again. 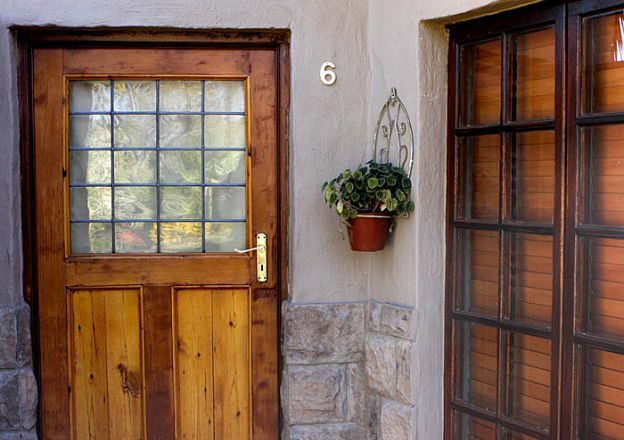 At Bellstone, we strive to turn strangers into friends; offering a cosy, farmstyle hospitality in the heart of Faerie Glen in the east of Pretoria. Close to mayor shopping centres and business hubs, we are easily accessed from the N4 and N1 highways. When you are looking for accommodation in Pretoria East, don’t settle for mediocrity. Come home to your home away from home – come and stay with us. Speak to Tessa Muller today about your requirements or to make a reservation. Once a Bellstoner, always a Bellstoner.